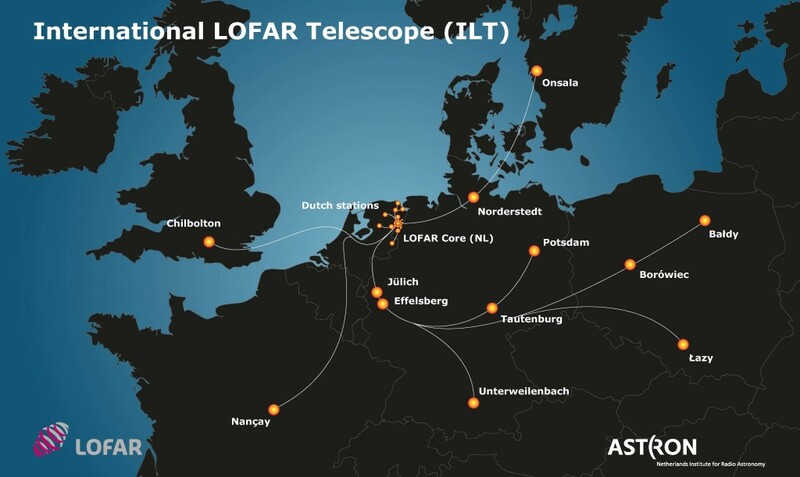 The International LOFAR Telescope has 38 stations in the Netherlands, six in Germany, and one each in France, Sweden, and the United Kingdom, with 3 new stations to be built in Poland. Today, ASTRON and the Polish LOFAR consortium POLFAR signed a contract for the construction of three new antenna stations for the International LOFAR Telescope (ILT) in the north, west and south of Poland. Signing of the contract took place at the University of Warmia and Mazury in Olsztyn in Poland in the presence of representatives of the Polish Ministry of Science and Higher Education and local governments, and representatives of the Polish astronomical and space sciences communities. LOFAR, designed and built by ASTRON (Netherlands Institute for Radio Astronomy), is a pathfinder telescope in the lower frequencies for the Square Kilometre Array. Pathfinder telescopes and systems, dotted around the globe are engaged in SKA related technology and science studies. The new LOFAR stations will be located in Łazy (in southern Poland, operated by the Jagiellonian University in Krakow), Bałdy (in northern Poland, operated by the University of Warmia and Mazury in Olsztyn), and Borówiec (in western Poland, operated by the Space Research Centre of the Polish Academy of Sciences). Connecting the three new ‘POLFAR’ stations will add valuable extra sensitivity to the array. And in particular, the Polish stations give ‘baselines’ of up to 1550 km in the array, making the ILT a much more capable instrument for high resolution imaging of detailed structures. The positions of the new stations also literally provide new angles on ionospheric tomography. Read the full press release on ASTRON’s website.